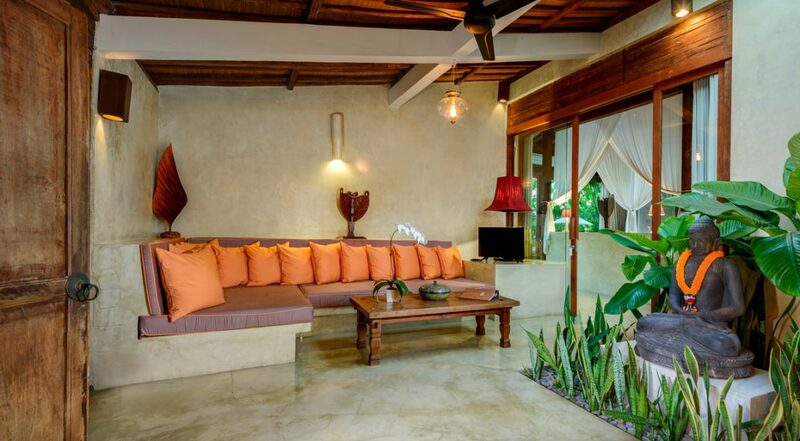 From $ 451 $ 361AUD per night We have direct contracts with most villa owners. We don't add any booking fees. We are 100% transparent with no nasty surprises. 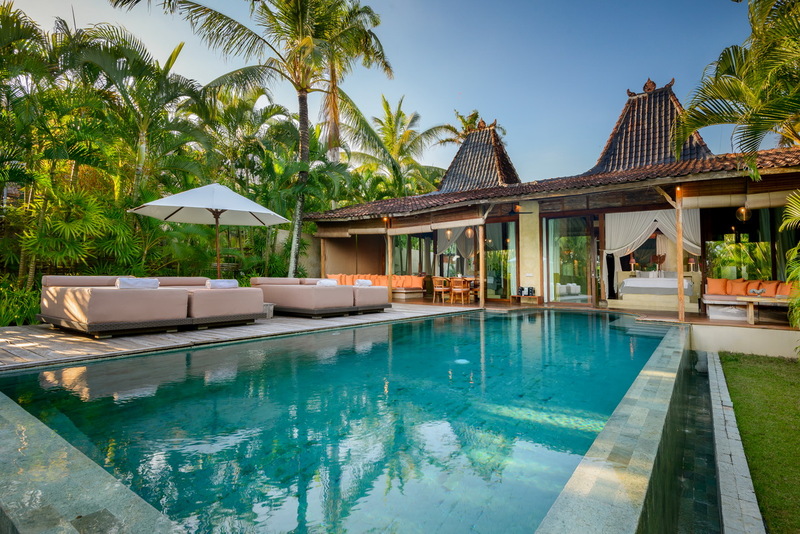 One of Bali's best holiday villas - rent this now! 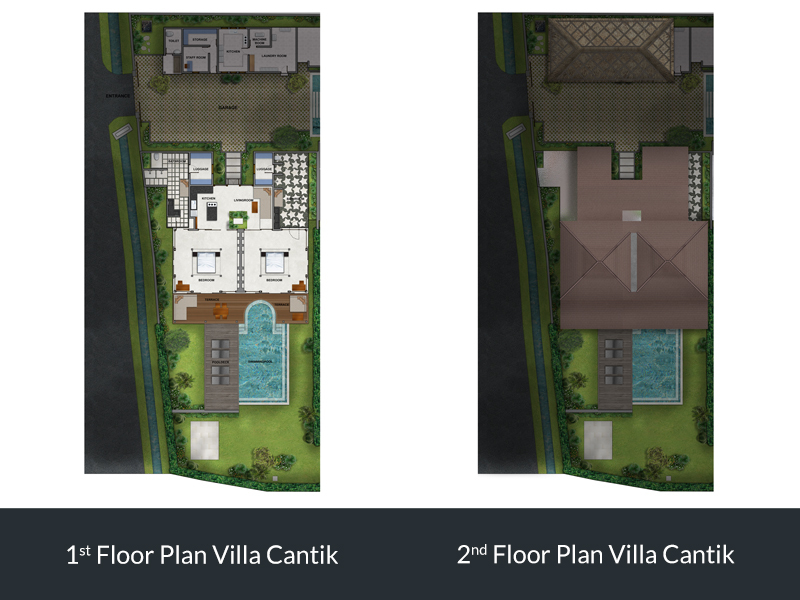 Cantik translates to beautiful in English language and that’s exactly what Villa Cantik represents. 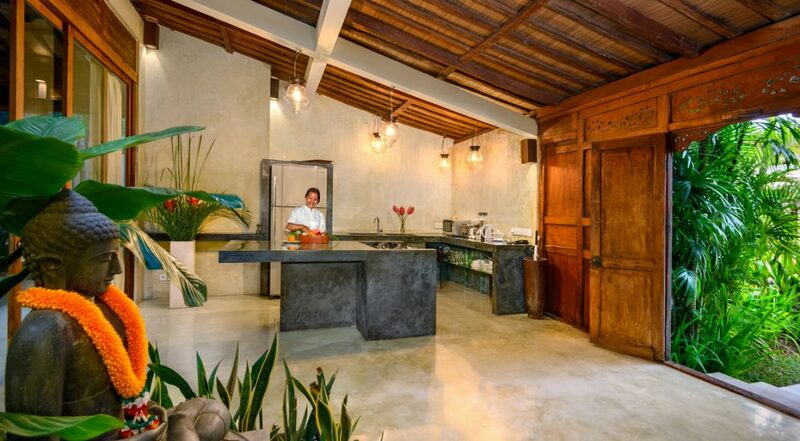 This is the ideal 2 bedroom Canggu villa holiday rental for a group of couples who enjoy the hip and vibrant Canggu scene and time spent at the beach with Echo and Batu Bolong Beaches very nearby. 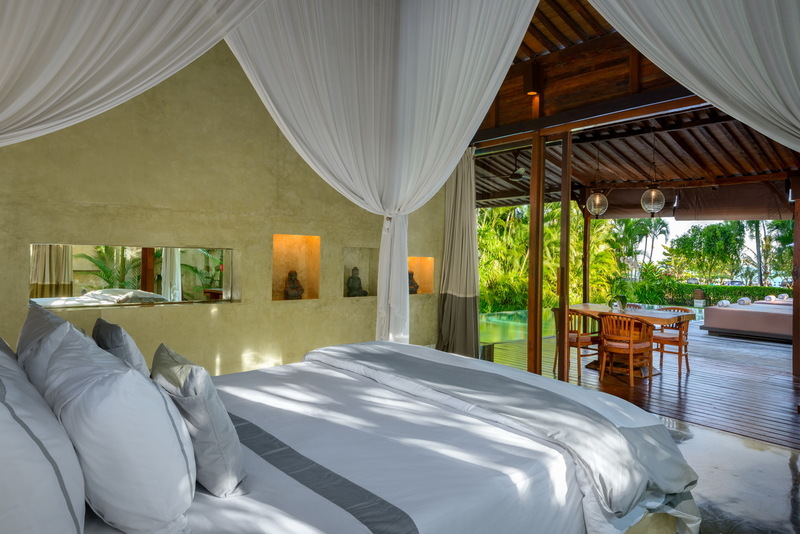 Surrounded by verdant rice fields you’re sure to relax and unwind at Villa Cantik while being taken care of by the warm and friendly staff. 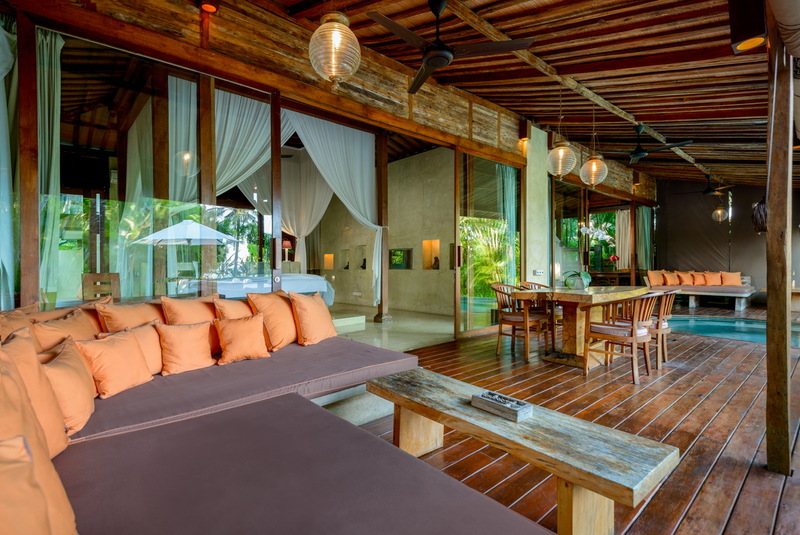 The villas timber Joglo pavilion blends perfectly with the tropical outdoor surrounds; kick back on a recliner and take in the beauty of the exotic plants and swaying palm trees. 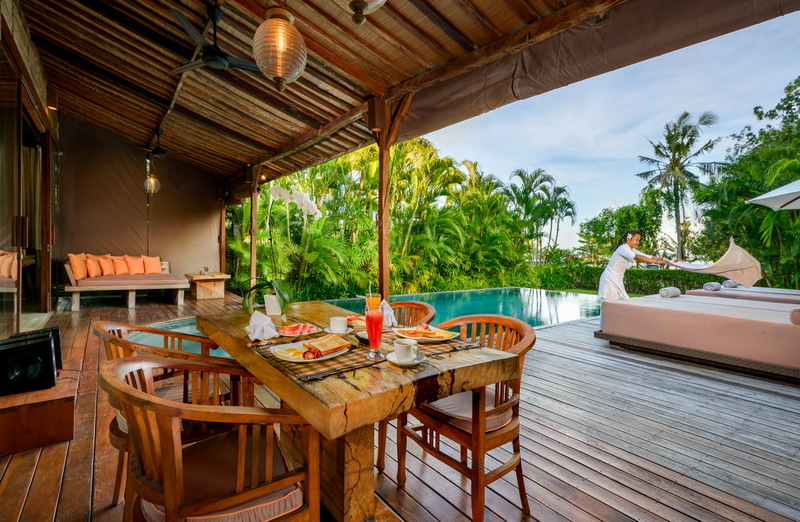 The pools surrounding deck will no doubt be the place for many hours of relaxation with friends and family; lie down on a day bed and enjoy an in-house massage all arranged by the attentive Balinese villa staff. 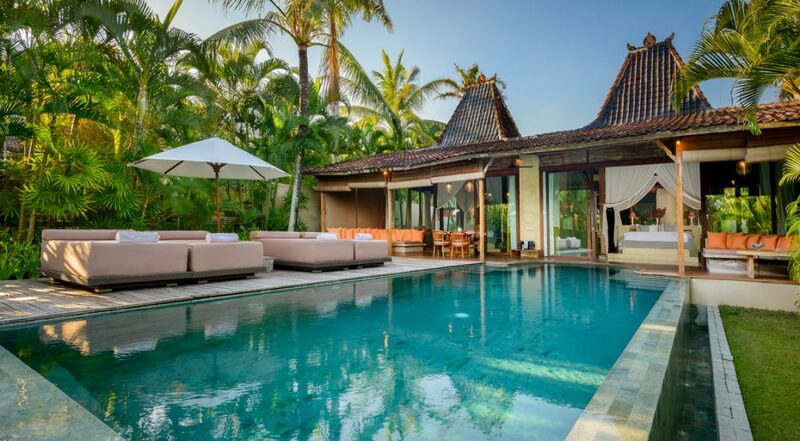 The unique design of villa Cantik allows guests to enjoy tropical al-fresco living, the covered terrace houses the living and dining areas so you can enjoy views of the ocean whilst dining or just relaxing in the tropical warmth that Bali is so famous for. 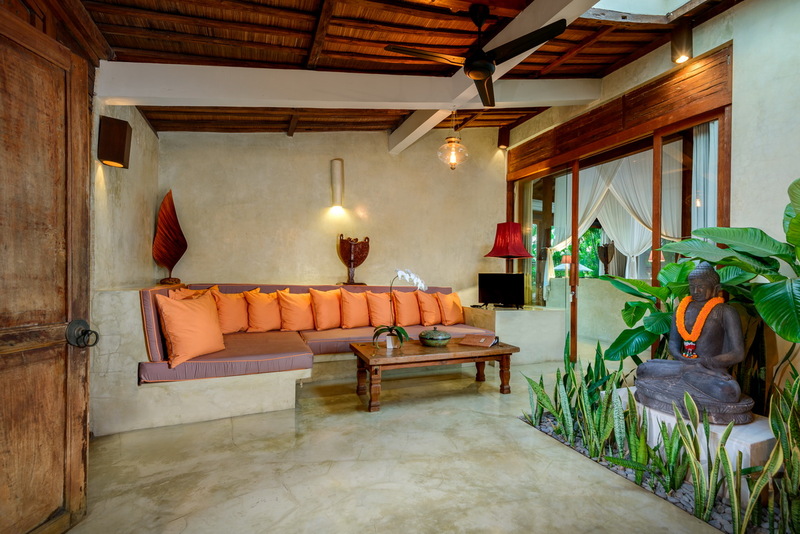 There are comfy sofas for you to come together and have a laugh about the day’s activities before laying down tentative plans for the next day’s outings. 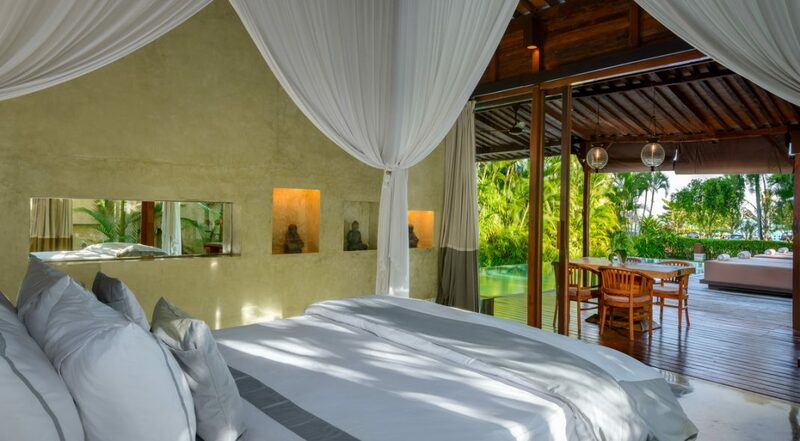 Two delightful bedrooms sit next to each other and are connected by a sliding glass door. 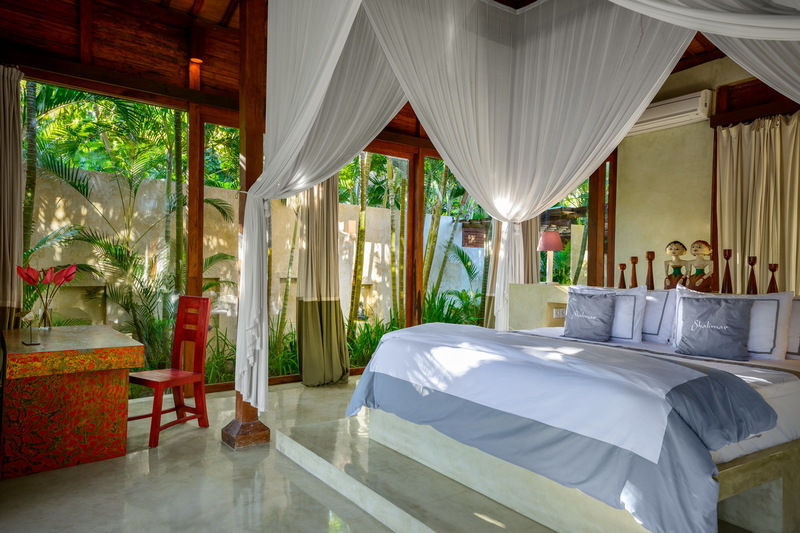 In both rooms king sized beds are accompanied by sheer netting, tasteful wall arts and views to the ocean in the distance. 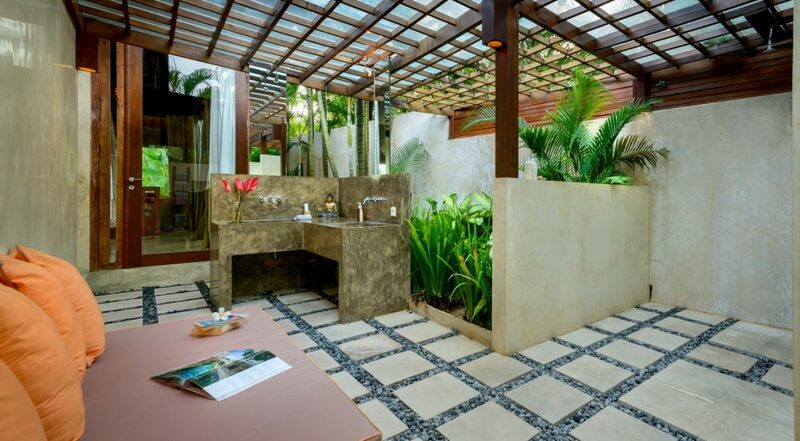 The private en-suites provide the opportunity to indulge in bathing in large outdoor soaking tubs under the skies. 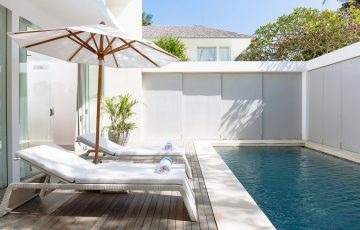 The villas staff are diligent and very respectful of your holiday privacy at all times, continental breakfasts will be served daily along with general villa cleaning. If you need a pool safety fence, additional catering, transportation or a reservation made, just ask the staff, they will happily accommodate your requests. 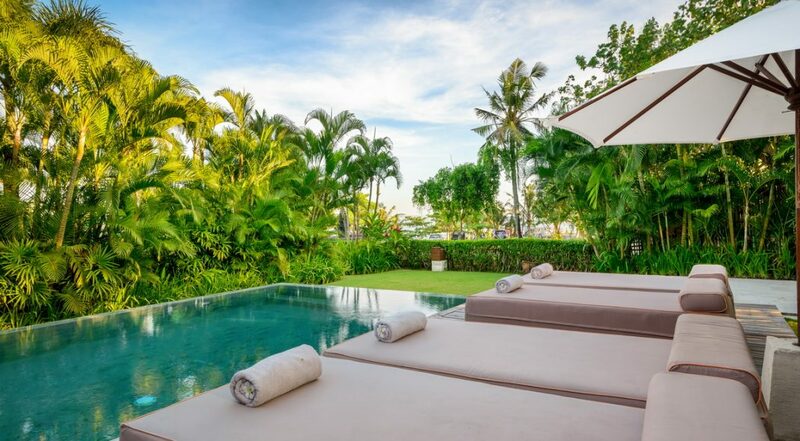 The villa is located just meters from the shoreline at Pantai Seseh Beach, located on the outskirts of hip Canggu so definitely going to enjoy some peace and quiet. If you are travelling with children we suggest taking a temporary membership at Finns Recreation Club, here the kids can spend hours on the water slides, indoor trampolines, ten-pin bowling alley and tennis courts as well as a huge swimming pool. For surf enthusiasts head to nearby Echo Beach, Batu Bolong Beach and Berawa Beach, these offer the best surfing hot spots. 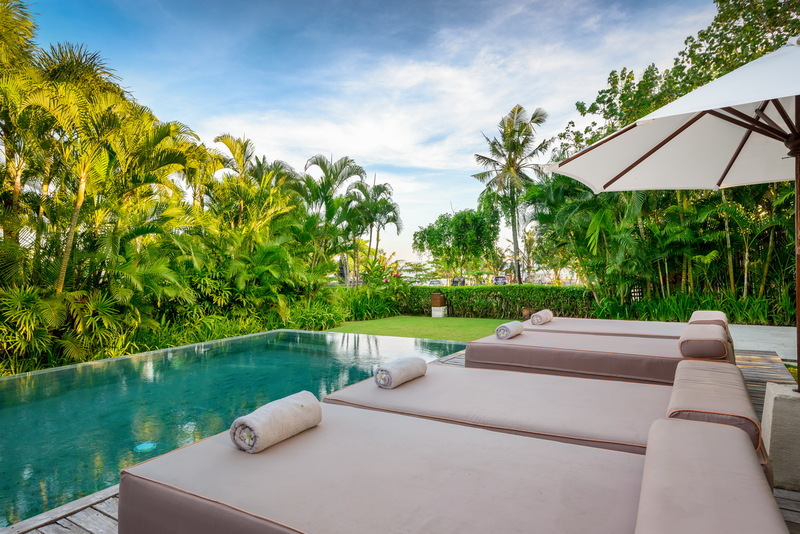 To view other 2 bedroom Canggu Villas or our full range of Bali villas near the beach & Jalan Batu Bolong please browse this website or contact our reservation team. 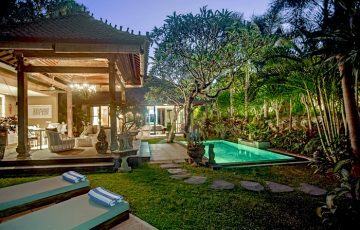 This is a really popular Canggu villa so if your planning to come to Bali during the Australian school or public holidays please book Villa Cantik well in advance. Capacities : 2 Bedroom. 2 AC bedrooms positioned over one level. 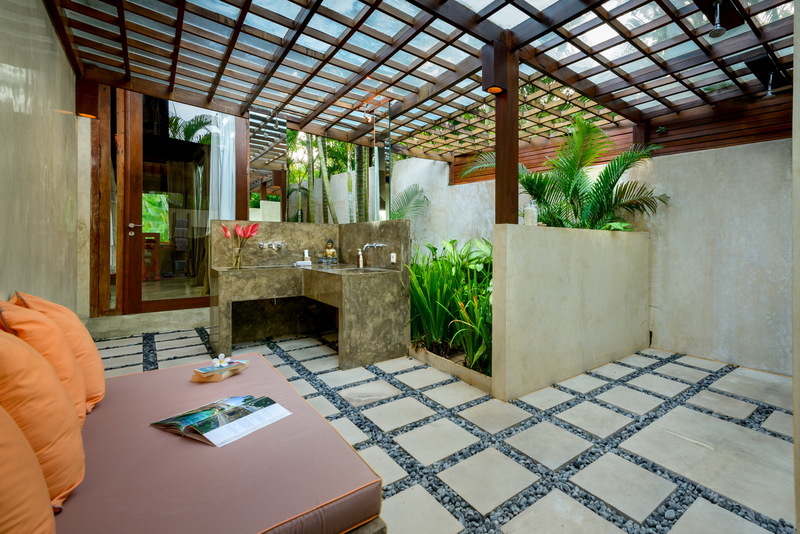 Large bathrooms and two shower in each bathroom. 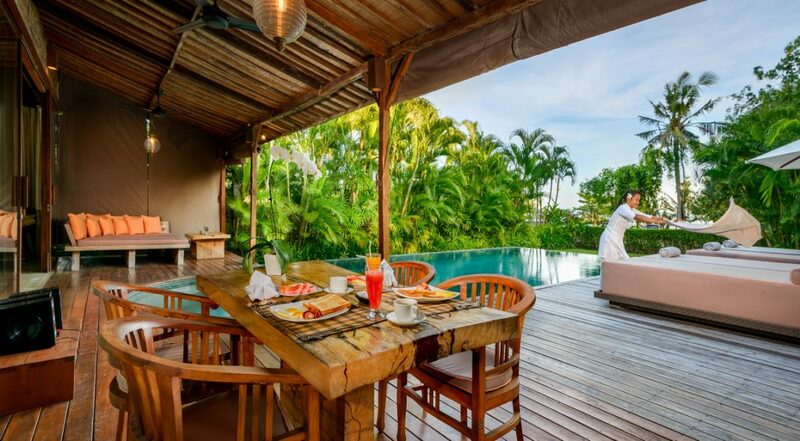 Villa Cantik is not available during High and Peak Season, and minimum stay for Villa Cantik in Low Season is 7 days. 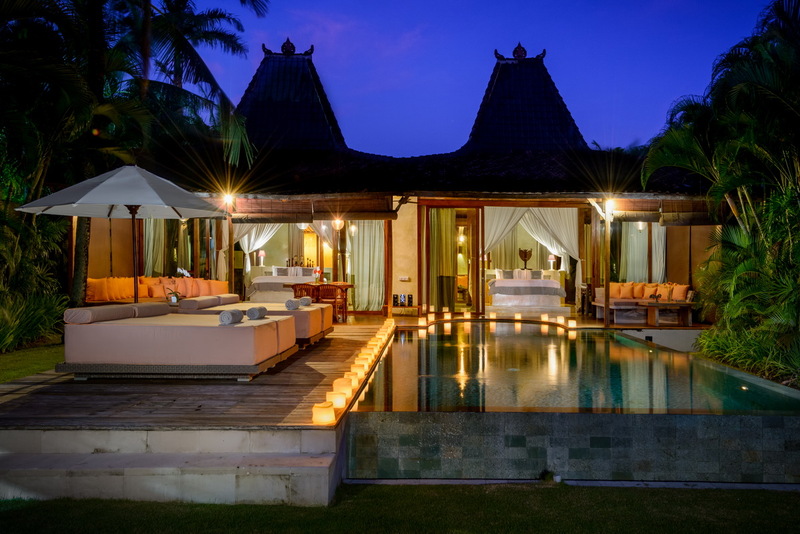 We came to Bali on a family holiday and found that Villa Cantik was absolutely perfect. The kids enjoyed the pool area and we loved reading in the garden and just relaxing by the pool. It was close to the beach which was a bonus for those afternoon walks and swims. 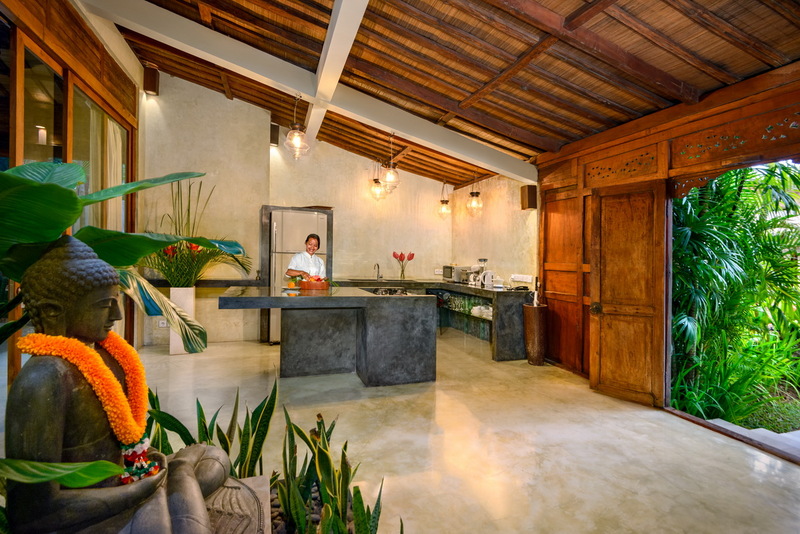 The villa staff were helpful and we loved their extra personal touches to make us feel very much at home. The rooms were spacious and at the same time modern. Wish we could have stayed longer to experience this magic. Amanda K - Los Angeles Calif. 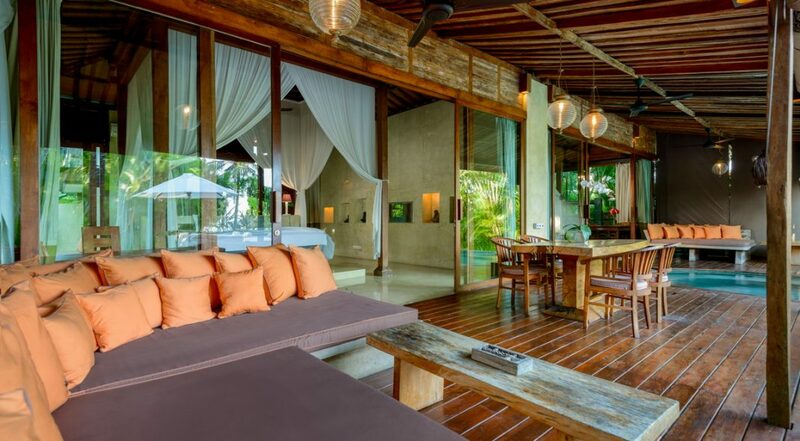 This villa was definitely worth the flight over and our family had a really pleasant stay here. 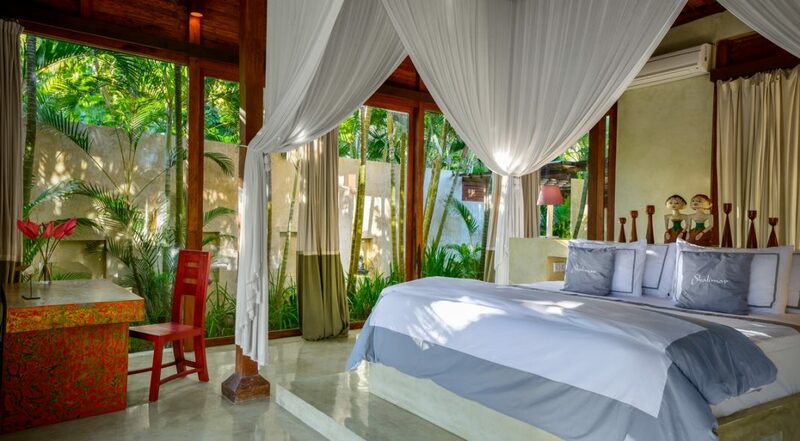 Staff, location and the lovely villa design made it a 10 out of 10! We especially loved how close Seseh beach was. This was remarkably good value considering you get staff as well who are there to cook and clean every day. Plus they were really hospitable. 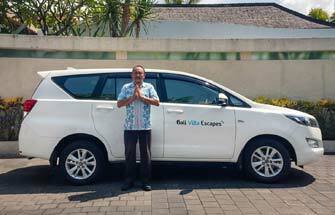 Huge thanks to Ina and Dewi at Bali Villa Escapes for organising this for us. 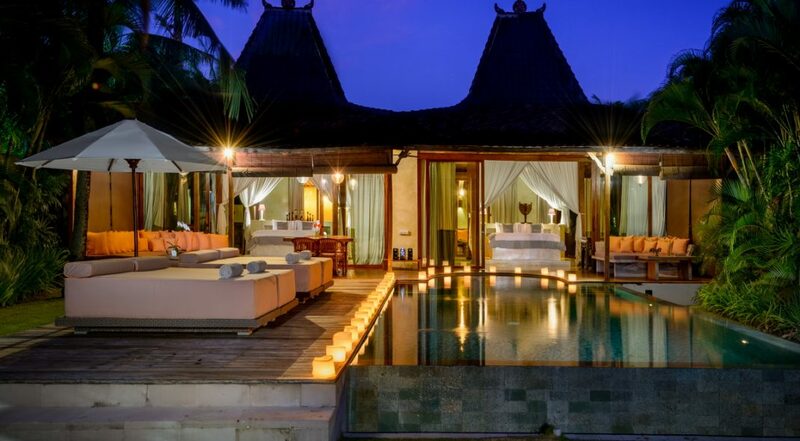 What a lovely villa. The 2 weeks here flew by so quickly. Gorgeous swimming pool and such a lovely peaceful feeling made this feel like our home away from home. The views, the surroundings, those rice fields and the villa staff were all so much better than we anticipated. 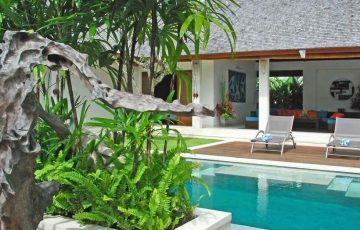 I really want to come back here again and live the perfect holiday life in this gorgeous villa. 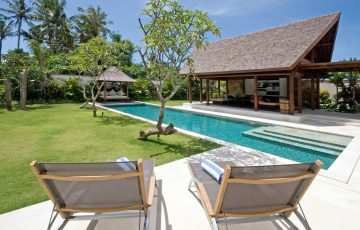 Thanks to all the staff at Villa Cantik.....perfect time, happy holidays! !